The Carolina Panthers Eric Reid, one of the few remaining NFL players still protesting during the national anthem, wore cleats celebrating Colin Kaepernick on Monday Night Football. 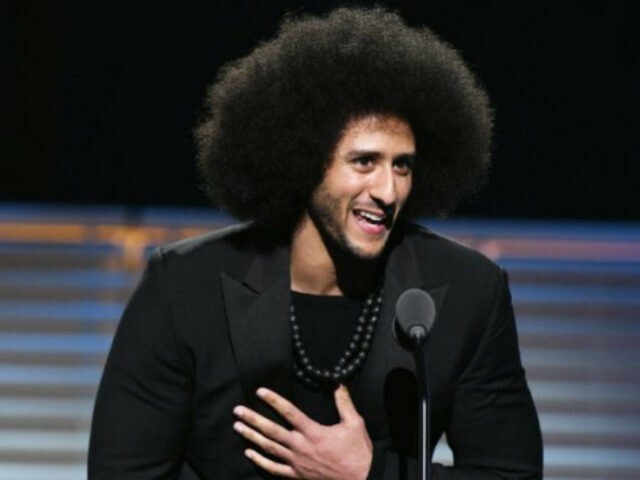 Reid chose to take advantage of the NFL’s “My Cause, My Cleats” promotion, to honor his former San Francisco 49ers teammate and national anthem protest inventor, Colin Kaepernick, Yahoo! Sports reported. Kaepernick turned free agent at the end of the 2016 season after spending the year protesting against the country at every game. But found no team interested in signing him either in 2017 or since. Consequently, he filed a collusion grievance against the NFL claiming that the coaches, owners, and league officials colluded to keep him from pursuing his NFL career. Reid, despite being on an NFL roster, has joined Kaepernick’s collusion grievance against the league.